No honestly, it really is August out there! 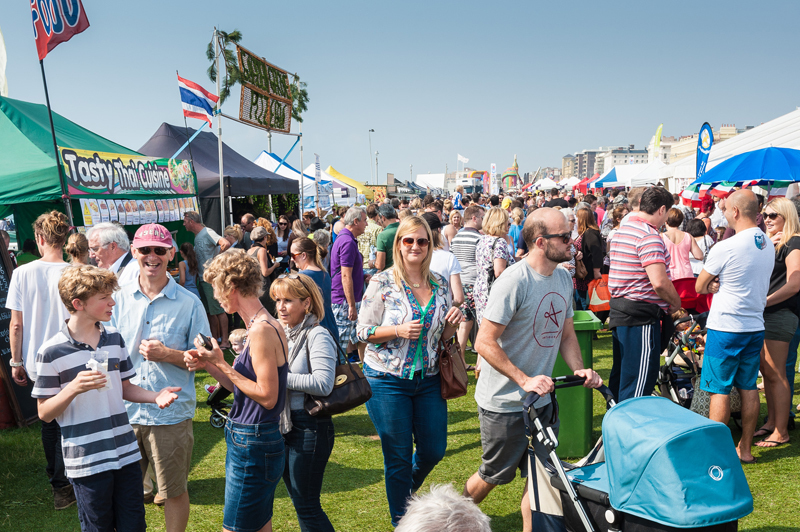 But come rain or shine, you may as well eat your way through the Bank Holiday weekend at the Brighton & Hove Food and Drink Festival. Yup one of the UKs biggest and best festivals is back with loads of evening events and three days of food and drink goodness on the seafront at Hove Lawns. This time I'm LOVING the idea of the Boho Gelato Disco. The festival has teamed up with Seb Cole of my favourite Boho Gelato in Pool Valley to create an interactive, day-glow ice cream and music experience. Imagine! There are both children and adult sessions (where a swig of booze is likely to be added to the granita - hurrah!). As well as the free and family friendly weekender on Hove Lawns (which includes plenty of Children's activities and the new Sussex Drinks tent for the adults) there are some amazing suppers you can pre-book. The award-winning Jeremy’s Restaurant at Borde Hill Garden are hosting a cocktail-themed supper created by distiller Sarah Thompson of Blackdown Sussex Spirits and chefs Jeremy Ashpool and Jimmy Grey. Stunning food will be matched with a selection of drinks from the internationally acclaimed Blackdown range. Chef Michael Bremner of 64 Degrees teams up with six Sussex vineyards for a one-off wine and food matching evening in the festival marquee on Friday 28 August. The event is a fundraiser for FareShare – the food surplus redistribution charity – with Michael working with the FareShare team on some of the dishes. Each course will be matched by a still or sparking Sussex wine with the winemakers themselves presenting. Sunday 30 August sees the Live Food Show marquee taken over by Metrodeco and Sussex Swing. There’ll be free adult and children taster classes of Lindyhop and Charleston throughout the afternoon followed by open dancing from 4pm. Enjoy afternoon tea or a selection of tea cocktails created by Helen Taggart of Metrodeco and Sarah Thompson of Blackdown Sussex Spirits.